Indo-Pak ties can “truly scale great heights” if Pakistan removes the “self-imposed” obstacle of terrorism, Prime Minister Narendra Modi said as he asked Islamabad to play its part by putting a complete stop to any kind of support to terrorism -- “whether state or non-state”. He said he has always maintained that instead of fighting with each other, India and Pakistan should together fight against poverty. way” in today’s “interdependent world” unlike the last century. “There is no reason to change India’s non-alignment policy that is a legacy and has been in place. But this is true that today, unlike before, India is not standing in a corner. It is the world’s largest democracy and fastest growing economy. you see India taking a position on the global stage?” he was asked. “We don’t have any fighting with China today. We have a boundary dispute, but there is no tension or clashes. People-to-people contacts have increased. Trade has increased. Chinese investment in India has gone up. 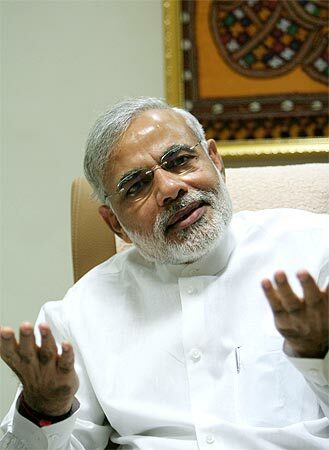 India’s investment in China has grown,” Modi said. “Despite the border dispute, there haven’t been any clashes. Not one bullet has been fired in 30 years,” he said. With a 7,500 kilometre-long coastline, India has a natural and immediate interest in the developments in the Indo-Pacific region, he said, adding that India has excellent relationships with the littoral states of the Indian Ocean. Talking about India’s ties with the US, Modi said many of the values between the two countries match. “Our friendship has endured, be it a Republican government or a Democratic. It is true that Obama and I have a special friendship, a special wavelength,” he said ahead of his travel to the US next month - his fourth visit to the country after becoming the prime minister. He said India and the US have enjoyed a warm relationship, regardless of whether America has a Republican or Democratic administration. robust and growing defence cooperation. Our aim to go beyond a buyer-seller relationship towards a strong investment and manufacturing partnership,” he added. “That’s the new way,” he said. “If we want to ensure the success of this interdependent world, I think countries need to cooperate but at the same time we also need to ensure that there is a respect for international norms and international rules,” he said. PHOTOS: NaMo's hugs of the year!